From Untitled Spreadsheet to Tempo Storm, here’s the story of Australia’s number one Overwatch team that no one has heard of. Climbing to the top of any professional competition is hard. It’s even harder when that competition concerns esports. Add in the smaller and isolated Australia/Oceania region and the fact that the team in question was, until recently both unsigned and un-sponsored makes their success so much more surprising. But one such team formerly known as the uniquely named ‘Untitled Spreadsheet’ and now ‘Tempo Storm’ has done just that. And that’s one of Tempo Storm’s most admirable qualities – they’re always looking to make the most of their team no matter the position of their current ladder, snatching up the opportunistic glimmers they see and constantly improving. “Just because we are on top does not mean we are not always looking for opportunities to improve, a big thing we never want to do is get complacent with wherever we are,” Redact said regarding the drive and ambition the team still holds with their number one status. Even when they’re at the top of the ladder, Tempo Storm continues to look upward toward the next rung. An attitude like this is one far too rare in the oceanic scene, and may very well be the key to international success – something that oh so many Australian teams fail to grasp. It was a long way to the top for Tempo Storm, who until just a few days ago were the unsigned and unsponsored powerhouse team Untitled Spreadsheet, and each of member had a different path leading to joining the team. Gunba, Refz, and Mosh have had a long-standing team dynamic since the initial release of Overwatch, and were once the “tryhard pub team [who] eventually made the change toward scrimming and competing.” LUSH tacked onto the roster after departing from B1G and Conroar joined as a total team newbie. But perhaps their biggest catalyst toward dominating the local scene was when James “yuki” Stanton and Pretty joined the team. Like some of the other members of Tempo Storm, yuki and Redact had played – if only for a short time – on a multi-player team in the Mcreeans when Overwatch first launched. “Yuki and I went from the Mcreeans straight to Spreadsheet, and the results have been strong ever since,” he said. Given their varied histories and strong professional relationships, it’s clear to see why Tempo Storm sits comfortably in the highest point of the oceanic scene. Granted Tempo Storm is well-versed in their esports craft, their move into such a young yet popular esport like Overwatch – especially in a smaller region – wasn’t without its risks. “You never know how good the game will be in the long run,” Redact said, summing up the primary concern most developers and players have when considering the success of a game as an esport. “Even some big developers have games that don’t end up succeeding…despite the effort they put in, [and] being in Australia just amplifies that effect.” As far as geographical context is concerned, Redact and the whole Tempo Storm team are candid and aware of the specific challenges and differences they experience firsthand within the Australian/Oceanic esport scene. “Normally only the biggest esports develop a stable scene,” Redact said. But the biggest issue they face is their inability to compete against international teams. While most other regions are close enough physically to go head-to-head with a top-tier region, “some people in the ANZ region struggle enough to play versus each other let alone offshore opponents.” This overarching struggle can be attributed to a variety of smaller issues, Redact stated: “Poor internet structure, large landmass making attending interstate LANs harder, and the general lack of population just greatly hinder the Australian esports scene compared to most other locations in the world.” This isn’t an issue limited to Overwatch of course, but an almost seemingly unshakable cloud that hangs over the head of all Oceanic esports. 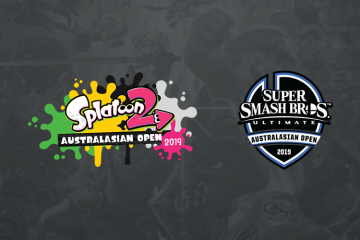 The popularity of esports is growing at a rapid rate around the globe, but there’s been a very clear shift in esports within the Australian/Oceanic region. 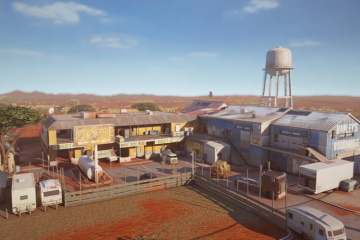 Taking into account the adversities with which Australian gamers are faced, it comes as little surprise that the region is considered a “farm location” at best, with mounting pressure being placed upon gamers to remain relevant in their respective arenas. Redact commented on the impact, “Anyone good enough at esports ends up relocating. There’s never any world-level talent that stays here long-term. I’m not sure if this trend will change anytime soon.” This again is a tricky issue the local scene faces. Esport revenue is directly connected to the passionate fan base, and as passionate as we may be here, we are again being still limited by our smaller populist. Ask yourself, if you were an esport hopeful, would you take an overseas offer, despite all the hard work you’ve put into this region? The answer is a simple one, and it’s not so great for the local industry. The prospect of fame, money and personal achievements in other regions still remain far greater than our incredibly passionate but small scene. So what’s next for the best Overwatch team in Oceania? The newly sponsored team hopes to attend the Overwatch Blizzcon World Cup tournament on November 4th and 5th in Anaheim California. The world’s best teams will be there and it will be a good chance to showcase Tempo Storm’s talent against some top tier teams. The team needs support however in the form of fan votes so that they may attend the international tournament.